We offer good quality double sided tissue tape which is very popular owing to its feature of easily get tear off with hand and offering a great adhesive even for smaller tasks by avoiding use of any glue or gm. It is mainly used in painting, to mask off areas that require not to be painted. 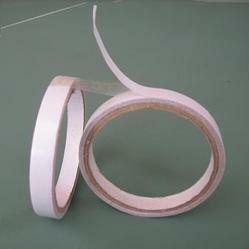 It is also used an application for joining, tape slicing, holding, lamination in shoe and leather industry. Width available as customer requires. 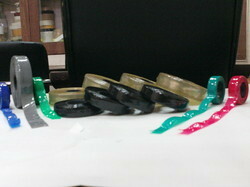 Used for fasting, molding, holding. Good substitute for gum and glues.